This project, 68 affiches pour Mai 68, steered by Leila Limousi and Muriel Palacio from the What The Fest? 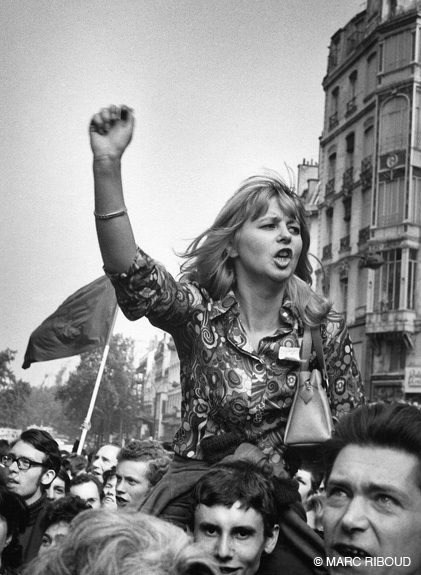 !#3 here in Montpellier, invited myself and 67 other artists to produce a poster for the 68 affiches pour Mai 68. The brief was fairly open as long as it connected with Mai ’68 in some way. Some opted for the revolutionary angle, others took the opportunity to drawn attention to current issues, some focused on ‘street art’ and so on. I chose to treat an iconic photograph of demonstrators in ’68, taken by the Magnum photographer Marc Riboud as a sliver of history and painted an interpretation on porcelain. 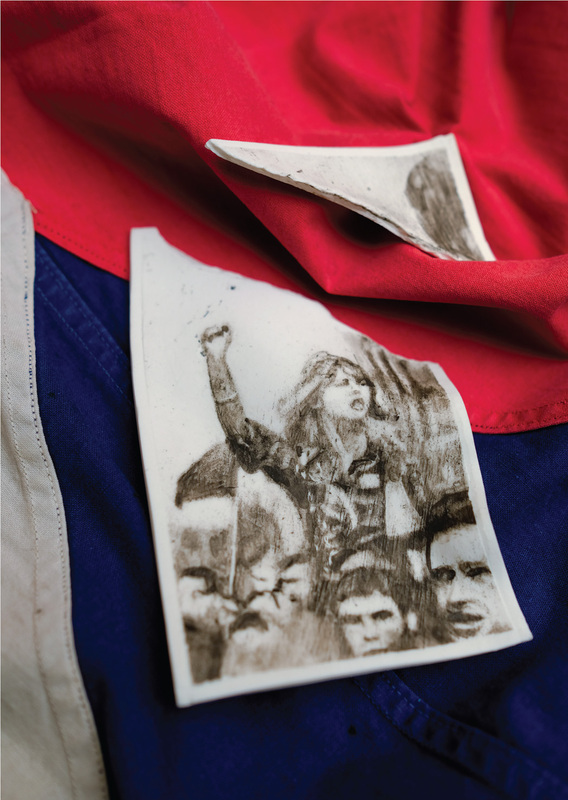 I photographed the broken result lying on an old czech flag I had in the studio – given it was red, white and blue and the Czechoslovaks lost their democracy in 1968 it seemed pertinent. 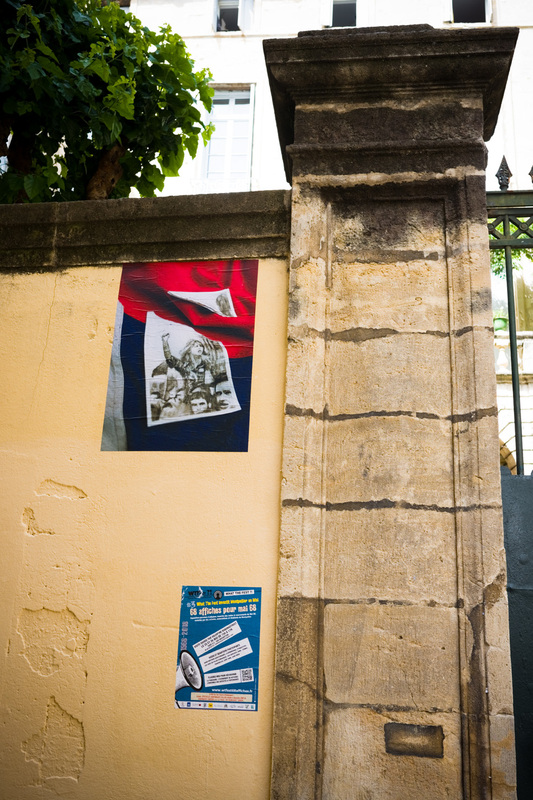 All ’68 posters where then stuck on walls across Montpellier…apparently very few lasted as many were torn down, defaced or graffitied over.